Was Mr. Darcy real? Is time travel really possible? For pragmatic Manhattan artist Eliza Knight the answer to both questions is absolutely, Yes! And Fitzwilliam Darcy of Pemberley Farms, Virginia is the reason why! His tale of love and romance in Regency England leaves Eliza in no doubt that Fitz Darcy is the embodiment of Jane Austen’s legendary hero. And she’s falling in love with him. But can the man who loved the inimitable Jane Austen ever love average, ordinary Eliza Knight? Eliza’s doubts grow, perhaps out of proportion, when things start to happen in the quiet hamlet of Chawton, England; events that could change everything. Will the beloved author become the wedge that divides Fitz and Eliza or the tie that binds them? O’Rourke creates a world that defies cynicism and demands suspension of disbelief – even in this age of doubt and hyper-realism. Sheer escapism at its best. Clever, charming and affectionate. …the reader must tenaciously read on rather than put the book down to satisfy their hunger for the story to resolve, which it does in characteristically Jane Austen fashion. 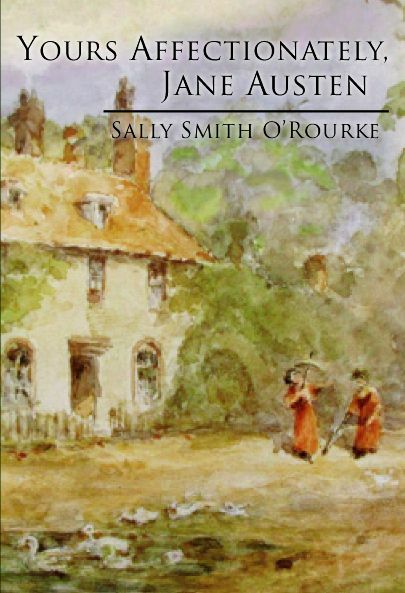 In Yours Affectionately, Jane Austen, author Sally Smith O’Rourke creates a compelling story that investigates what and who might have inspired Jane Austen. While the story line is certainly far-fetched, it is a truly unique idea, one that captivated this reader until the very last page. Sally Smith O’Rourke is a surgical scrub nurse at the City of Hope national cancer research hospital in Duarte, California and resides in the near-by Victorian village of Monrovia. With her late husband, author Michael O’Rourke (aka F.M. O’Rourke) Smith O’Rourke owned and operated a medical advertising company where she used her diverse talents to produce and co-write teaching films and videos. Working not only with major medical and surgical manufacturing companies but also network television. These endeavors ultimately led to a collaboration on two feature films (direct to video) and three published novels. The wife and husband writing team of Sally Smith and Michael O’Rourke, being long-time fans of Jane Austen, wrote The Man Who Loved Jane Austen released by Kensington Books in 2006. Kensington followed that very successful effort with The Maidenstone Lighthouse in 2007 and Christmas at Sea Pines Cottage in 2009, both also collaborative projects by Smith and O’Rourke. 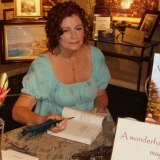 Published after her partner and spouse’s untimely death in 2001, the publisher chose not to use the names Michael O’Rourke and Sally Smith (as the manuscripts were presented), releasing all three books under Sally Smith O’Rourke. 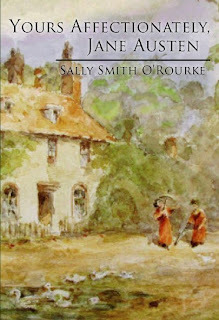 Yours Affectionately, Jane Austen is Sally Smith O’Rourke’s first solo novel. 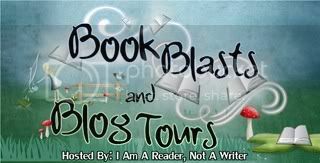 This entry was posted in Book Blast by Amanda Beaty. Bookmark the permalink.